Start 16/06/16 at 7:15pm. Every Thursday. Address: 10 Hounslow Avenue, Mile End, 5031, SA. Studio is located in separate building at rear (go down through carport), entry through sliding door. New group. Start 01/06/16 at 7:15 pm. Traditional Brazilian Zouk is a partner dance with sensual and graceful movements originated in Rio de Janeiro. Come join us to dance this amazing social dance, enjoy the music and have fun! No partner necessary. Level: Basic 1 (01/06/2016-07/09/2016, 15 lessons). an 8 class pass may be used by two people. * Concession fees apply to holders of South Australian Government approved student ID cards. Enrolment to this course ends on 15/06/16. Classes are taught by an international dance instructor from Moscow, Russia – Irina Iri. 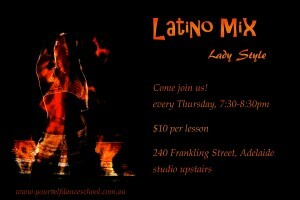 New 8 week Bachata course! Dancing is proven to have a positive influence on your health, fitness and general wellbeing. Take our Bachata course to discover your love for this amazing partner dance. It’s lots of fun, easy to learn and easy to impress! No partner necessary. • we apply European standards to dance education. Start 15/03/2016 at 6:30 pm. 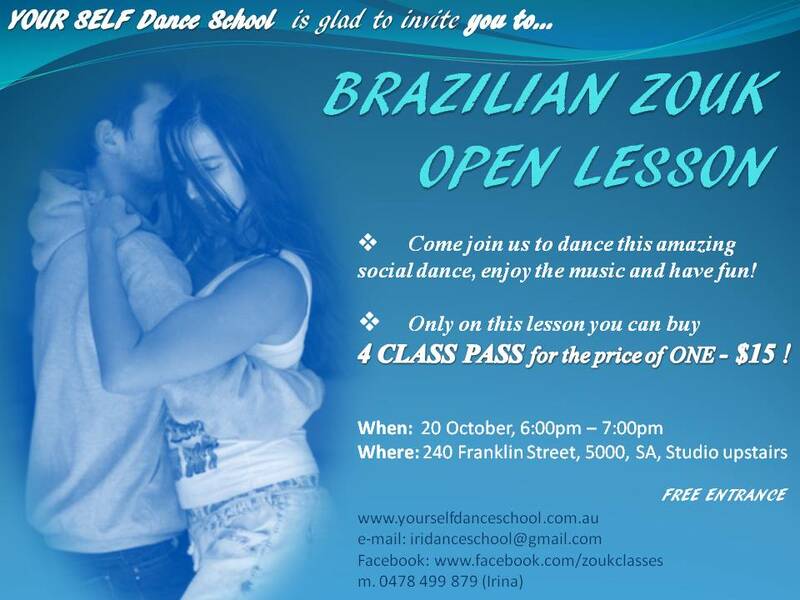 Brazilian Zouk is a partner dance with sensual and graceful movements originated in Rio de Janeiro. Come join us to dance this amazing social dance, enjoy the music and have fun! Level: Basic 1 (15/03/16 – 21/06/16, 15 lessons). – the whole course $90 ($6 per class, saving $165 !!!). To receive the Special offer you need to Share this post on Facebook (click on Facebook button below the post) and send a message to the page: www.facebook.com/zoukclasses/ with your name and the chosen option (either a class pass-$30 or the whole course-$90). The Early Bird offer is valid till 29/02/16. 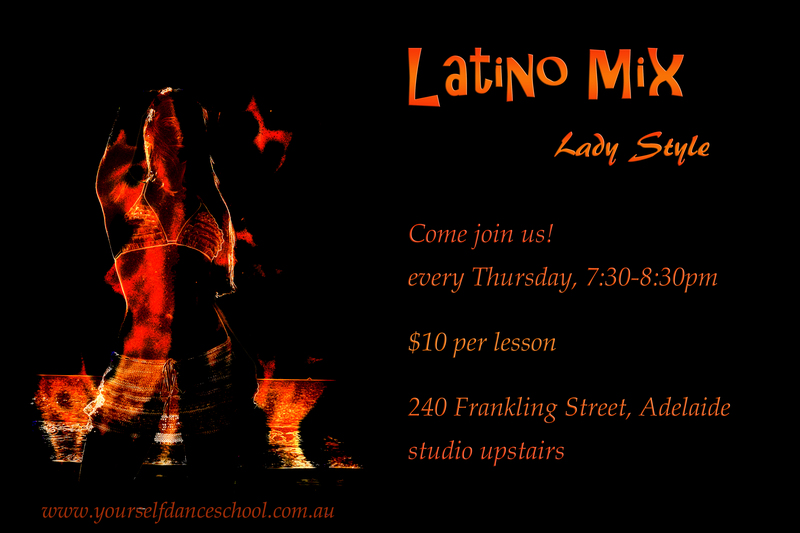 Please contact Irina to book the course and get the account details (e-mail: iridanceschool@gmail.com.au). Enrolment to this course ends on 29/03/16.